Lock in a great price for Silken Rona Dalba – rated 8.2 by recent guests! The location is absolutely fantastic, the facility is incredibly clean, the rooms are spacious, and the beds were awesome! Location was great close to Plaza Mayor. The breakfast was very decent for the price. Price, location, easy to find and with a friendly parking garage right around the corner. Good breakfast too. Location and staff were awesome. And the room was very clean. The reception staff were very pleasant and helpful and the bedroom spacious, modern, comfortable and warm. The washbasin, with many mirrors, separate from the W.C. and shower was also a plus as one person could wash, shave while the other took a shower. The discount price was great value. 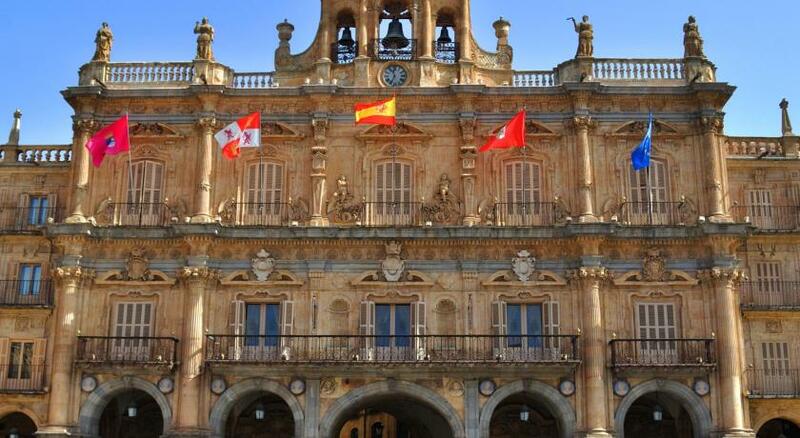 Excellent location for visiting and leaving Salamanca and well signposted for arrival. Space in front of hotel to facilitate waiting and loading/unloading. Big surprise for us to find such a wonderful hotel with everything that you need. Great value for money and perfect location. I would recommend this place. Walking distance to both bus station and chapel of the apparitions. Great location. Quick walk to Plaza Mejor and everything we wanted to see/do. Great staff. Newer bathroom. Convenient location: very central. Good size room and a satisfactory breakfast. Staff directed us to free parking areas which was a bonus. The location was great. Both my husband and I were very pleased with the room. It was bright and very clean. Silken Rona Dalba This rating is a reflection of how the property compares to the industry standard when it comes to price, facilities and services available. It's based on a self-evaluation by the property. Use this rating to help choose your stay! 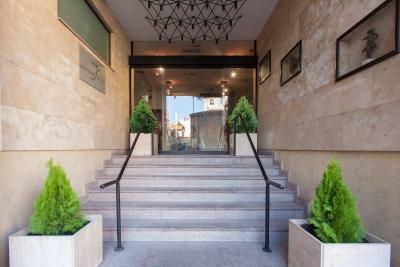 One of our top picks in Salamanca.Just a 2 minute walk from Plaza Mayor Square, Silken Rona Dalba offers air-conditioned rooms and free Wi-Fi throughout. 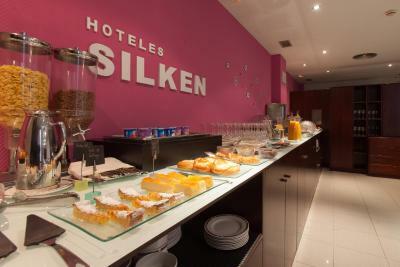 It also has a cafe bar and breakfast buffet available. The rooms at the Hotel Silken Rona Dalba have private bathrooms, designer toiletries by Javier Mariscal, pillow menu and massage service for an extra fee. Perfectly in a small square ‘San Jaun Bautista de Barbalos’, across from a small, pretty 12th Century Roman Church. When would you like to stay at Silken Rona Dalba? 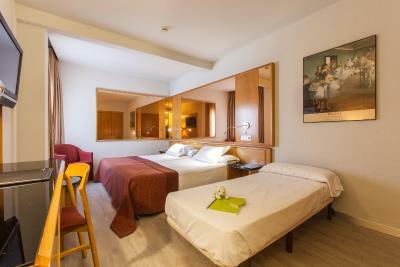 This spacious, air-conditioned room features a satellite TV, safe, pillow menu, and a mini bar. The bathroom includes a hairdryer and Javier Mariscal toiletries. This spacious, air-conditioned room includes free Wi-Fi connection and late check-out. It features satellite TV, a safe, a pillow menu and a minibar. The bathroom includes a hairdryer and Javier Mariscal toiletries. This spacious, air-conditioned room features satellite TV, a safe, a pillow menu and a minibar. The bathroom includes a hairdryer and Javier Mariscal toiletries. This smaller, air-conditioned room features a flat-screen satellite TV, a minibar and a private bathroom. House Rules Silken Rona Dalba takes special requests – add in the next step! Silken Rona Dalba accepts these cards and reserves the right to temporarily hold an amount prior to arrival. Please note, double beds are subject to availability and cannot be guaranteed. Hotel is a bit dated. I found the entrance steps, about 10, a bit challenging particularly dragging up my case. They said that a lift is being installed and work seemed to be in progress. Breakfast was excellent . 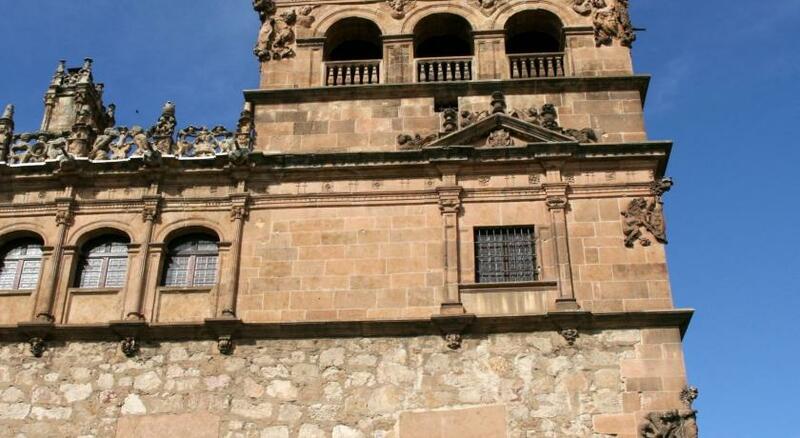 Access to very secure parking at a reasonable rate in centre of Salamanca. It is looking a bit tired, could do with renovation. The hotel is in a very good location, about 5-10 minutes walk from the main square. Lots of cafes nearby. Clean and comfortable. Good enough amount of space. Location was excellent. The hotel is a little tired but everything g else is very good. Location is really great. Minutes away from the main shopping and sightseeing areas. Hotel facilties out of date, poor breakfast. Nothing at all. Please see what I didn't like. Our heater in our room was making a knocking sound when it came on. The beds weren't comfortable, we could feel the mattress springs which was not really pleasant. We forgot to mention we wanted one bed instead of two twin beds in the reservation and when we asked at the front desk to have a big bed it was impossible for them to change us room, because if later clients would come they wouldn't have the choice anymore. This was really disappointing.